What was your overall opinion of the book? It was a little slow in parts, but really good. Sometimes I picked it up and did not realize how much I was reading in one sitting. I really liked the way the characters were described in the beginning. It took a lot of pages but it made you able to really see what they were like. There were also some surprises that seemed confusing at first but ended up pretty cool. How does it compare to Pretty Little Liars? It was a mystery that surrounded someone disappearing and dying like the way Pretty Little Liars started with Allison. It was also a similar neighborhood. The characters in Amateurs were more into finding answers. Pretty Little Liars is about the missing person coming back for the girls who lost her. 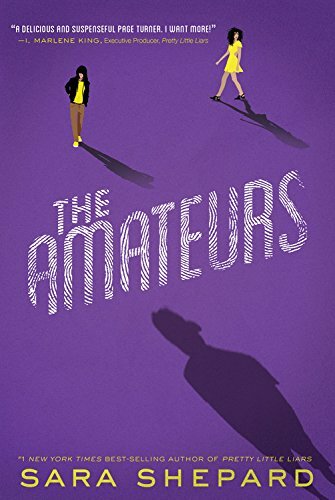 Amateurs is about the main characters figuring out what happened and trying to solve the mystery. Anyone who likes Pretty Little Liars. It was slow but I would still give the next book in the series a chance because it explained a lot of important things.